Within the space of two weeks, three North African leaders have been forced from power by the military after popular protests: Abdelaziz Bouteflika of Algeria, then Omar Al Bashir of Sudan and his transient replacement Awad Ibn Auf. Unless their successors can reinvent the failing oil economy, they too will face the people’s anger. The demonstrators’ complaints were not only about money and food, but dignity, human rights and the aspirations of youth against gerontocracies. The Algerian and Sudanese situations are, of course, very different. Algeria is three times as wealthy per person as Sudan, much less indebted, but far more dependent on oil and gas exports. Both regimes, though, depend on petroleum revenues to sustain themselves, and both have failed to sustain those revenues or to invest them productively. Algeria’s economy has been gradually slipping into trouble. From a peak of about 2 million barrels per day in 2005, oil production has dropped by a quarter as sparse new developments fail to replace ageing fields. Gas output has been on a bumpy plateau since 2009, while subsidised prices have led to steady growth in domestic demand, hence cutting exports, which are down by almost a third since 2003. Operations are dominated by state firm Sonatrach, with foreign partners frustrated by bureaucracy that holds up new developments interminably. 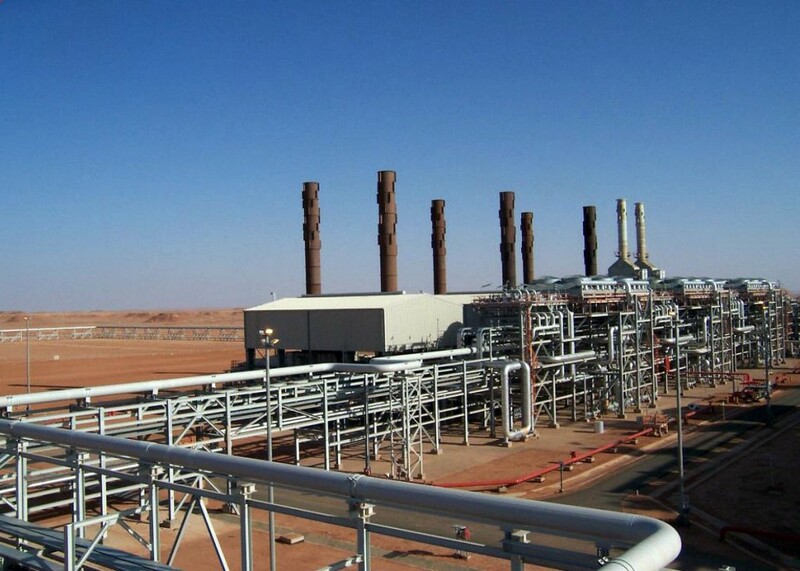 Algeria has adapted only slowly to the new competitive gas markets in Europe, its main customer, and is threatened further by the expansion of low-cost US liquefied natural gas exports. Along with lower prices for oil and, especially, gas, revenues have fallen. The country has minimal foreign debt, but has effectively resorted to printing money to cover its budget deficit, and banning imports of products such as mobile phones, furniture and some food to protect the currency. The state-dominated economy fails to generate non-oil exports and private-sector jobs. Sudan’s malaise is more acute, yet in a way less entrenched. It only began oil production in 1992. When landlocked South Sudan separated in 2011, it took about three-quarters of the former state’s oil production with it, but its only export pipeline runs to Port Sudan on the Red Sea. South Sudan refused to pay the transit fee demanded of $36 per barrel, which would have made Khartoum’s oil revenues larger than Juba’s, at then prevailing prices around $100 per barrel. Exports were shut down, fighting erupted over the disputed petroleum-producing Abyei region, and then South Sudan slid into civil war. Production has recovered somewhat, and Sudan’s own output has risen, but 359,000 barrels per day of 2010 output in the former unitary Sudan has dwindled to a total of about 220,000 bpd, 75,000 bpd of that in (north) Sudan. Prices are also well down on 2011. The country has continued to be plagued by insurgencies and violent repression, with the conflict in Darfur in the west ebbing, but that in the southern region of Kordofan continuing. US sanctions have been partially lifted but continue to hamper the economy – it is cut off from the IMF, World Bank, WTO and most Western banks. Oil-based patronage kept Al Bashir’s rule going, as he favored security forces under his control more than the regular army. He sought financial help from Turkey and Qatar, then from the UAE and Saudi Arabia, but they may have been suspicious of his apparent attempts to play all sides. Government debt has reached 163 percent of GDP, inflation has soared over 70 percent, and the currency is worth barely a tenth of its official rate against the dollar at the start of 2018. Wheat and flour subsidies were reduced in February, and fuel and wheat handouts were cut again in December, sparking the latest protests. With the right measures, Sudan and Algeria could both turn around their hydrocarbon industries over the next few years. Khartoum planned to offer 30 new exploration blocks this year to international companies. Algiers was in discussion with ExxonMobil and Anadarko for shale gas and exploration in the hitherto untapped offshore. But beyond petroleum, the countries need diversification. Among non-hydrocarbon minerals, Algeria has iron, phosphate and zinc; Sudan has gold, now its top export ahead of oil. They have among the world’s best solar power conditions. The completion of Ethiopia’s Grand Renaissance Dam near the Sudanese border would increase the scope for irrigation – despite Sudan’s vast territory, it is a net importer of food. Both suffer from an unaccountable security elite, corruption and stifling bureaucracy. Algiers’ state-dominated economy is hostile to international investment and private business, while Khartoum’s suffers the hangover of sanctions and human rights boycotts. New civilian governments, with a trajectory to genuine elections as in Tunisia, would enjoy more public support than another military faction. But any new leadership will confront two economic paradoxes. The first is that more oil and gas production is required to feed the government budget, but that success in hydrocarbons takes off the pressure for sustained reform. The second is that to revive the economy and government budgets, subsidies have to be reduced and restructured, state-owned companies streamlined and privatized, and international investment encouraged. But popular pressure tends to be for precisely the opposite: lower food and fuel prices, more government jobs. Phasing reforms to protect the poor and the marginalized peripheries, and creating private-sector jobs faster than they disappear in state bureaucracies, is a trick few countries have mastered. Algeria and Sudan are not the only two MENA states suffering from dwindling hydrocarbon rents and a failure to diversify. Climate changes and water shortages put further strain on weak and incapable regimes. Drought probably exacerbated and shaped Syria’s uprising. Both it and Yemen, relatively minor oil producers, were struggling with declining output before government collapse in 2011. All oil- and gas-exporting countries face the short-term challenge of US shale and relatively weak prices; and the long-term pressure of renewable energy, electric vehicles and action on carbon dioxide emissions. Middle East states are further exposed to a dangerous mix of drought and desertification, rising sea levels, growing youth populations, insecurity and refugee movements. Yet the region has advantages too: tremendous renewable energy resources, a pivotal geography in a globalized world, and the potential demographic dividend as educated and connected young people enter the workforce. Those powers can be unleashed by cutting bureaucracy and corruption, encouraging local private business and making the state a facilitator of industry rather than an executor of megaprojects. If Algeria and Sudan, from very different starting points, can chart a path to more sustainable and equitable systems, that would be a valuable lesson to all the region.